Despite the fact that I grew up in a family that loved good food, the number of different cuisines we tried was pretty much limited to Hungarian, Italian, Chinese, French, and Deli. It wasn’t until after college that I first had Japanese food and then it took me another 30 years before I tried sushi. 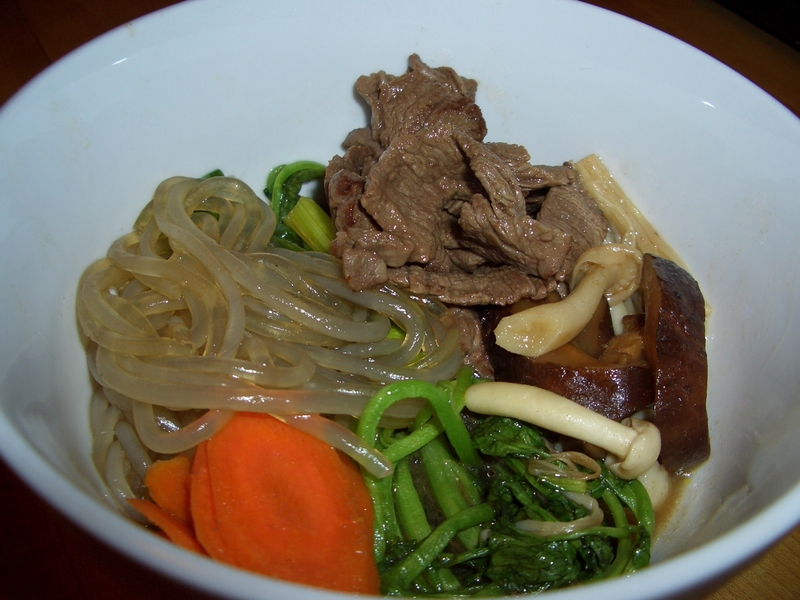 In those before-sushi-years my go to dish was always beef sukiyaki. I loved the flavors as well as the show they put on when they cooked it at your table. Fast forward many years – I’m a vegetarian and writing my book “1,000 Vegetarian Recipes” and as you can imagine, I’m trying to find diverse recipes for each chapter. 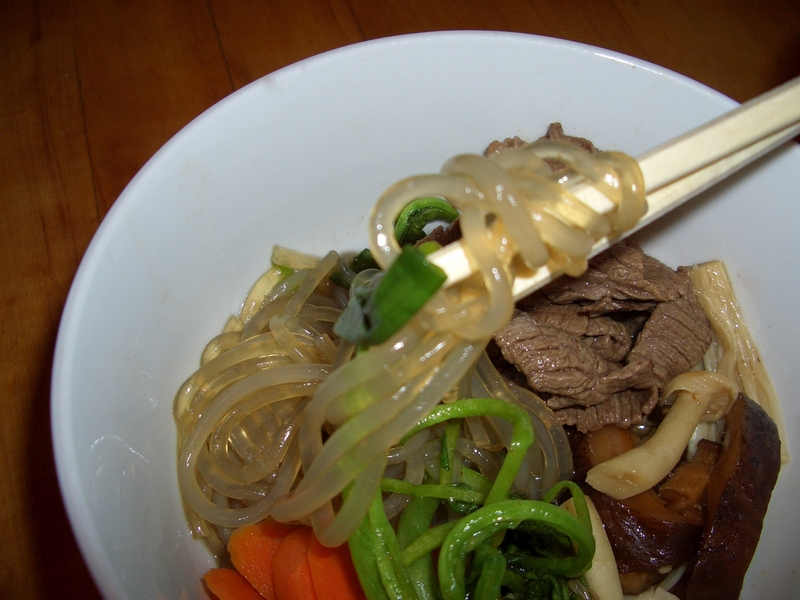 Memories of beef sukiyaki float to my mind and before you know it I developed a great tofu sukiyaki. I will say that of the 1,000 recipes in that book, the tofu sukiyaki was probably one of the top ten I made over and over…you can tell by looking at the soy sauce stains on the page. In fact one it was one of the things that I really missed when I became paleo. 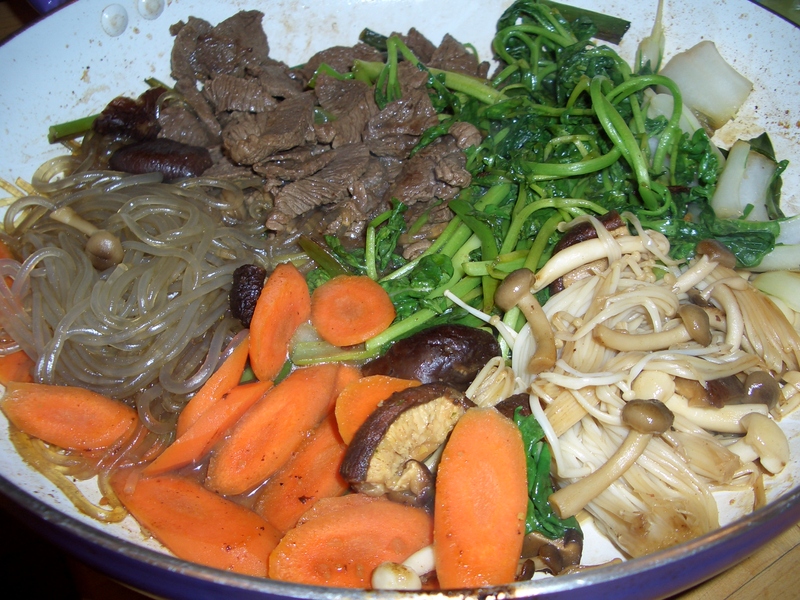 Never to be one to pass up a challenge, this week I set my mind to paleo sukiyaki. I went back to the original beef sukiyaki that started my love for it and then set about converting the sauce to paleo approved ingredients. Surprisingly it was really easy to achieve a super delicious version. Coconut aminos, that I usually find to be a somewhat less than perfect substitute for soy sauce, turns out to be a natural for sukiyaki. Because the sauce for sukiyaki is quite sweet, the sweetness of the aminos allowed me to eliminate the need for sugar in the recipe. I added just a little fish sauce to intensify the saltiness and that was it! I use dried mushrooms I also bought in Chinatown. To be honest I have no idea what kind they are. 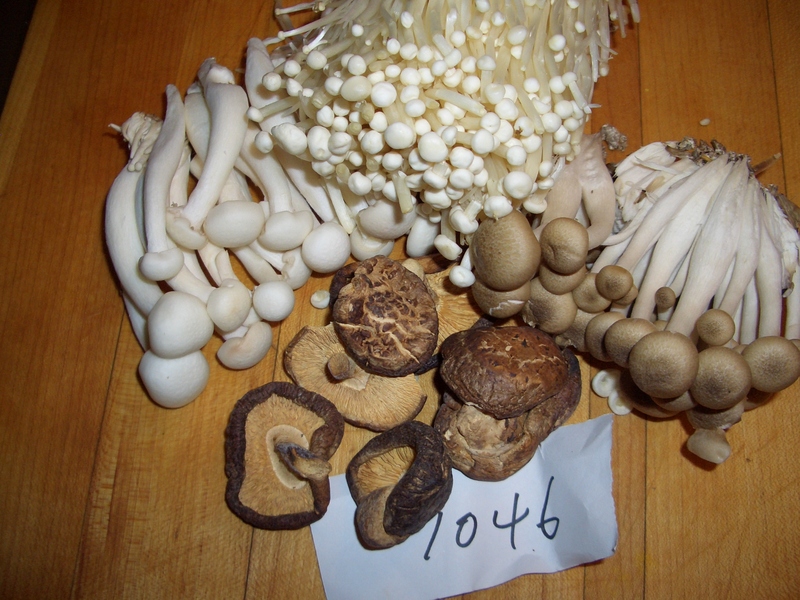 They were in an open bin along with lots of other types of mushrooms and I just pointed to number 1046 and hoped it was good. I think dried shiitaki mushrooms would be a good substitute. 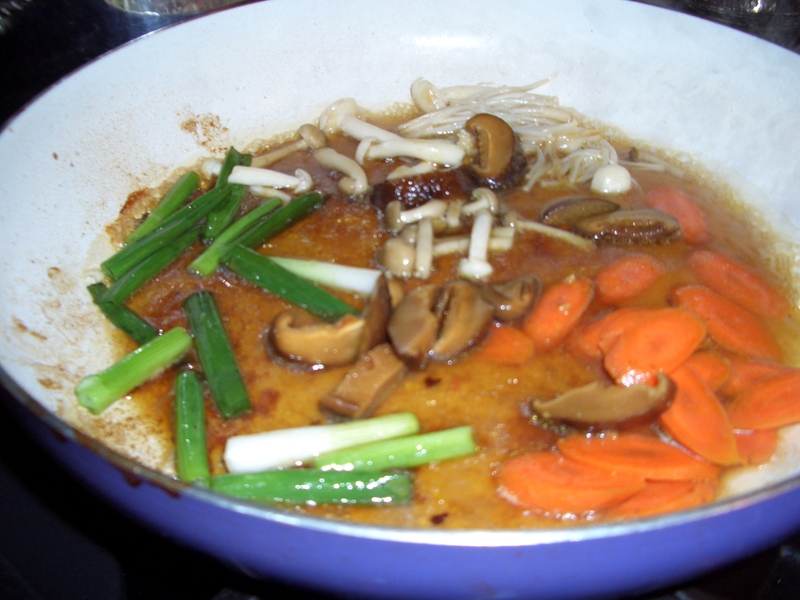 For the fresh mushrooms I used a mixture of white and brown beech mushrooms as well as enoki. Just regular white mushrooms, sliced would also work here. For me this recipe is a real success and I’ll be making it often. Hope you like it too. Use a tender cut of meat for this dish. If you prefer you can substitute chicken for the beef or if you don’t eat meat, shrimp would be good too. Place the beef in the freezer for an hour for it to become firm but not frozen. Slice thinly; set aside. Cook noodles according to package directions; drain and set aside. 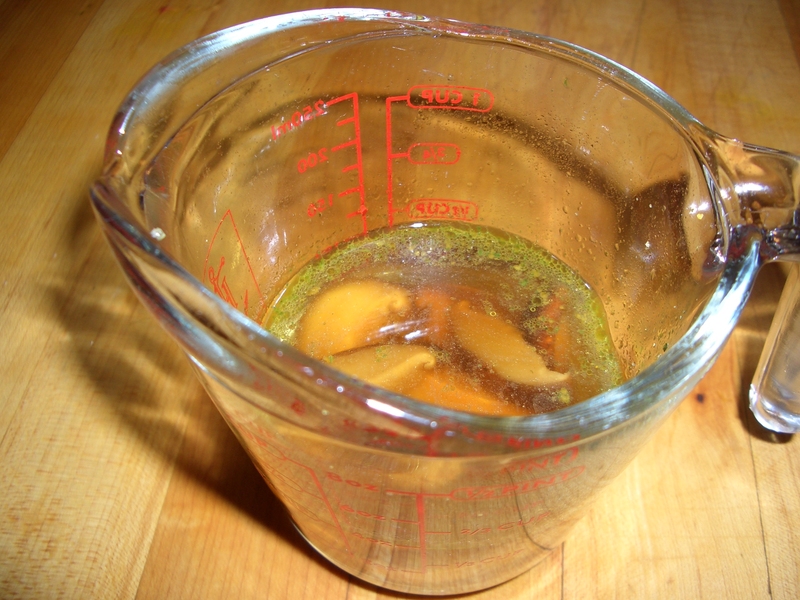 Place the broth in a measuring cup. Microwave 1 minutes until boiling. Soak the mushrooms in the heated broth until softened; let cool and slice. Add the coconut aminos and fish sauce to the broth and mushrooms; set aside. In a large non-stick skillet, heat 1 teaspoon of the oil over high heat. 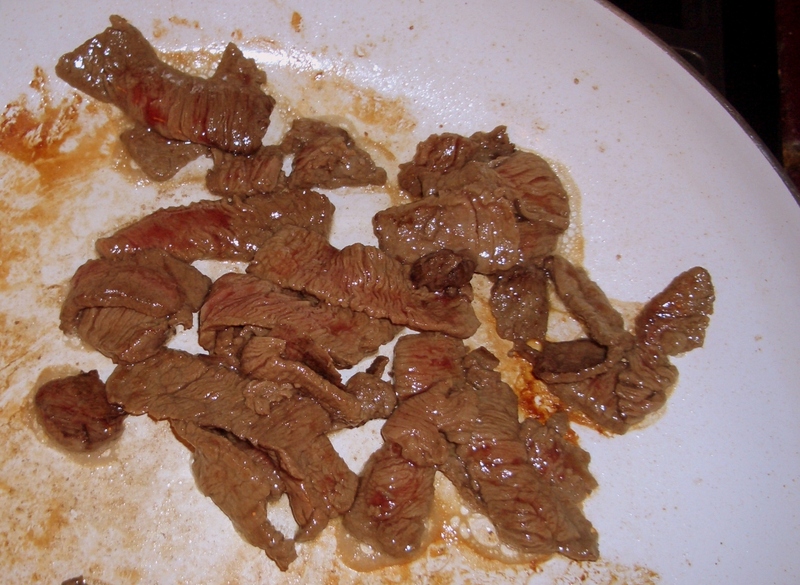 Add the beef and cook stirring, until no longer red; remove from skillet and reserve. 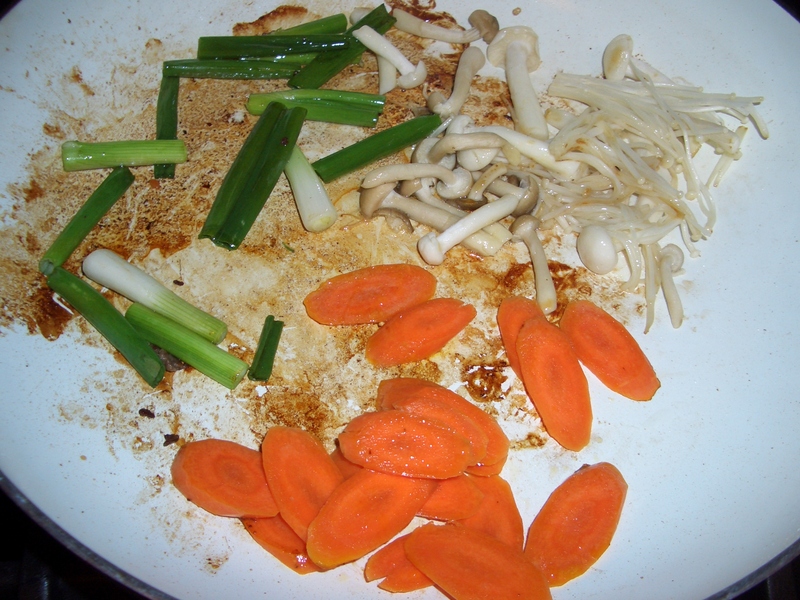 Add the remaining 2 teaspoons oil, scallions, mushrooms and carrots to the skillet. 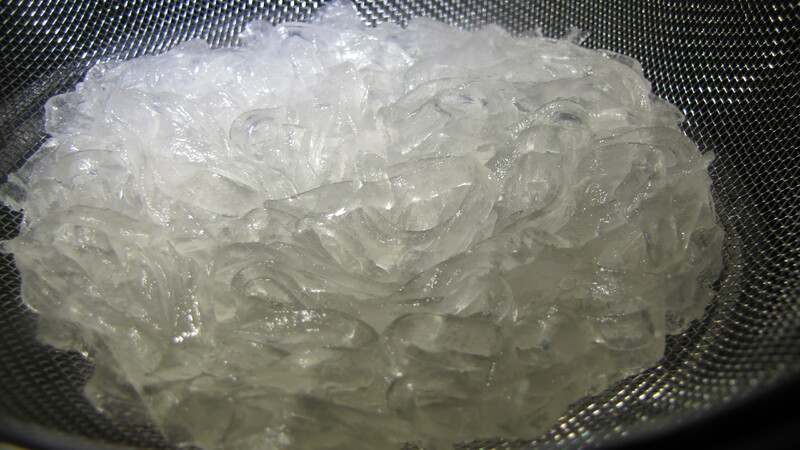 Cook, stirring until slightly softened. 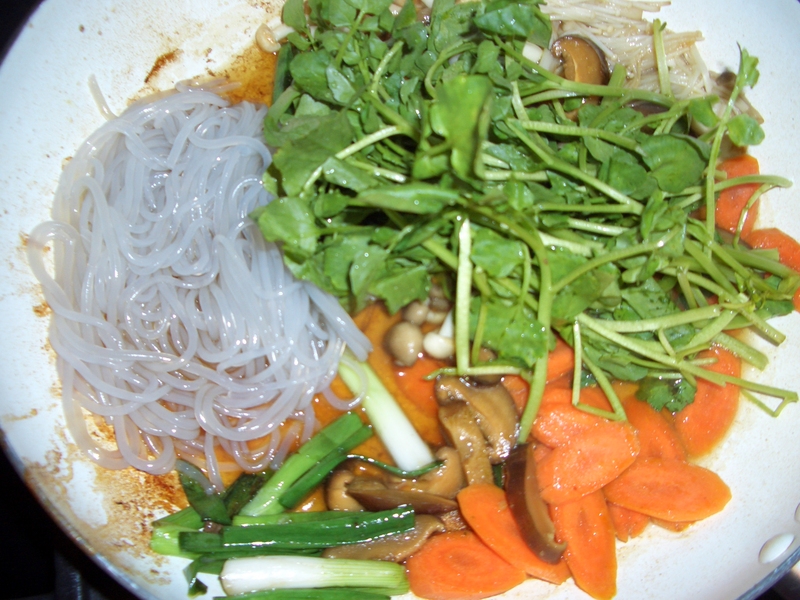 Add the watercress and noodles; cook until the watercress is wilted. Add the beef to the skillet and cook until heated.